The defending champions face formidable international and American opposition at this weekend’s marathon. 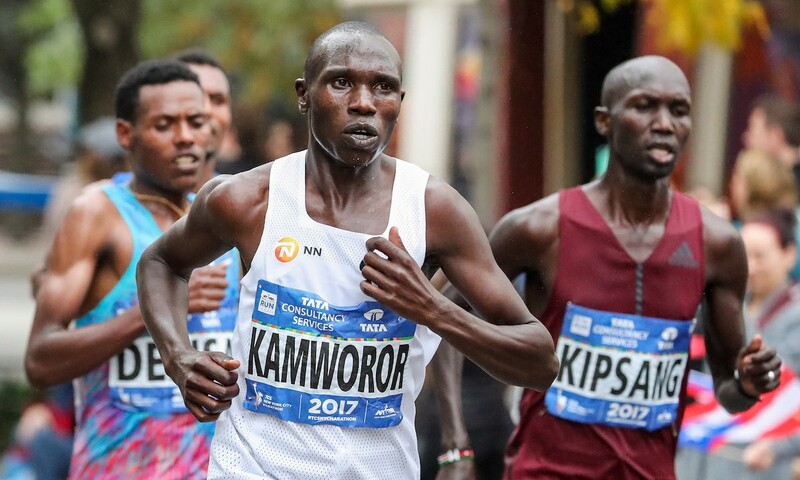 Shalane Flanagan and Geoffrey Kamworor can expect a tough test as they aim to successfully defend their titles at the New York City Marathon on Sunday (November 4). 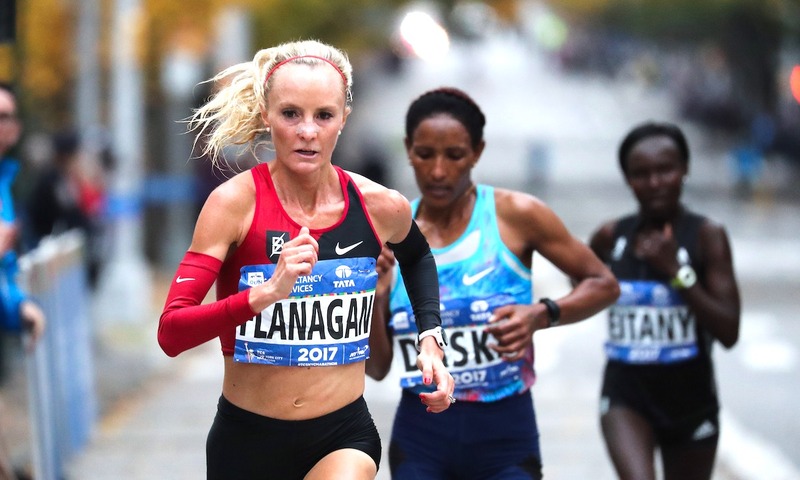 Last year in New York, Flanagan became the first American woman to win in 40 years, storming to victory in a time of 2:26:53. On Sunday, the 37 year-old will once again face three-time champion Mary Keitany who she dethroned from the top podium spot, along with London Marathon champion Vivian Cheruiyot and Boston Marathon champion Des Linden. Flanagan has a personal best of 2:21:14, while Kenya’s Keitany clocked a women’s only world record of 2:17:01 to win the 2017 edition of the London Marathon. Leading the Ethiopian challenge is reigning World Half Marathon champion Netsanet Gudeta and Mamitu Daska, who have bests of 2:29:15 and 2:21:59 respectively. 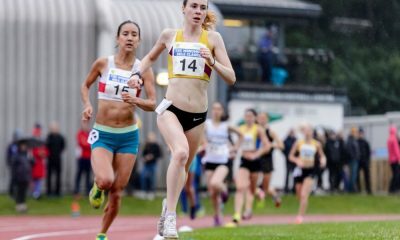 Along with Flanagan and Linden, the top American entries include 2016 New York third-place finisher Molly Huddle, Boston Marathon runner-up Sarah Sellers and 2017 TCS New York fifth-place finisher Allie Kieffer. Last year in the men’s race, Kenya’s Kamworor claimed his first major marathon victory running a 4:31 penultimate mile to cross the line in 2:10:53. This weekend, the three-time World Half Marathon champion lines up against USA’s Bernard Lagat, who makes his exciting marathon debut, two time Boston Marathon champion Lelisa Desisa of Ethiopia, 2017 London Marathon champion Daniel Wanjiru and the fastest in the field with a 2:04:06 best Ethiopia’s Tamirat Tola. Multiple track world medalist Lagat became an American citizen in 2004 and holds national records over 1500m, 3000m and 5000m. The 43 year-old will be joined on the start line by fellow American athletes Abdi Abdirahman, Rio 2016 Olympian Jared Ward, 2018 Boston Marathon third-place finisher Shadrack Biwott. British eyes will be firmly fixed on the performances of Chris Thompson, Jonny Mellor and Andrew Davies on Sunday. 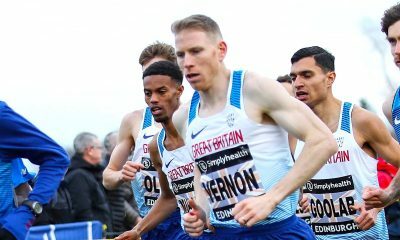 Thompson makes his return to marathon racing after recent wins at the Great Scottish Run and Great South Run, following the European Championships in Berlin. The 37 year-old, who has a PB of 2:11:19 from 2014, is no stranger to New York and claimed a podium spot at the United Airlines NYC Half in March. In a recent interview with Fast Running, Thompson said: “New York is not a race for fast times, but instead it’s one of the best for real racing – no pacesetters, no world records, just hard running. 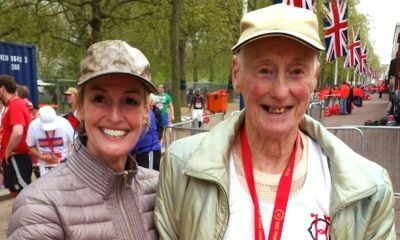 Mellor memorably clocked a 2:12:57 best at the Berlin Marathon last September and will take on his second marathon of the year after a 2:17:55 performance at a hot London Marathon in April. Welshman Davies finished 11th in the marathon at the Commonwealth Games and steps back on the roads following a successful summer on the mountains, which included winning gold at the World Masters Mountain Running Championships. In the wheelchair races, Switzerland’s Marcel Hug and Manuela Schär return to defend their 2018 crowns, while David Weir, Johnboy Smith, Simon Lawson lead the British hopes in New York. The New York City Marathon will be broadcast live on Eurosport 2 in the UK from 2:15pm on Sunday.